October 24th 2017 – It’s been a brilliant couple of weeks for our Universal Credit campaign. We’ve had two fantastic wins for our clients. 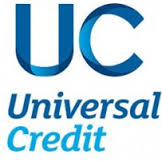 The Work and Pensions Secretary announced that the helpline people call to claim Universal Credit will be free, rather than up to 55p per minute. All claimants will be told they can get an advance payment after 2 weeks, too, so so they’re not waiting 6 weeks for an income. We have been calling for both changes since July, and they will have a positive impact for thousands of people. The changes are a result of people across national and local Citizens Advice working together to push Universal Credit up the Government’s priority list through news coverage and engagement with politicians. When MPs debated Universal Credit for 5 hours and mentioned Citizens Advice’s evidence 40 times.